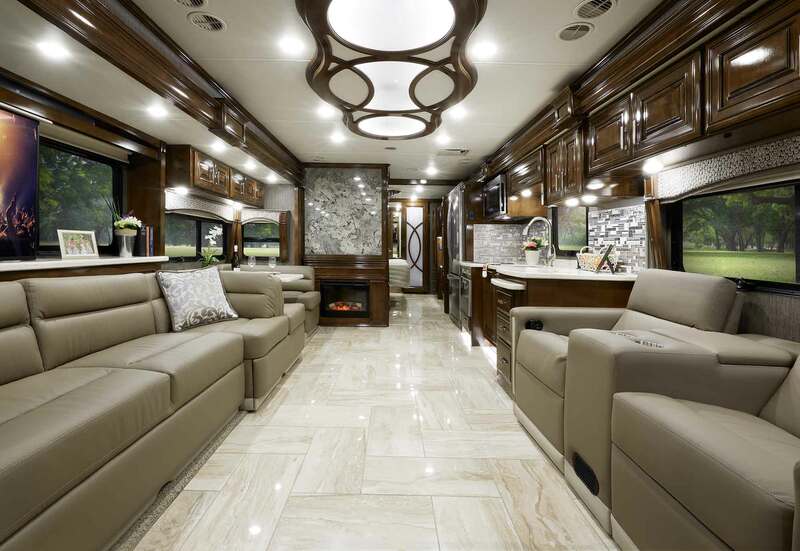 Our flagship Class A - the Tuscany® is our most sophisticated line of Class A diesel luxury motorhome. 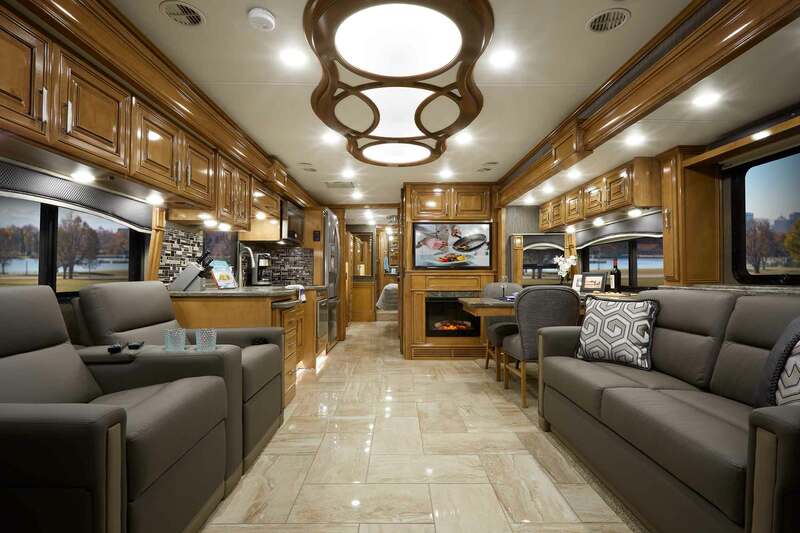 The idea was to not just design, but create more than a motorhome. 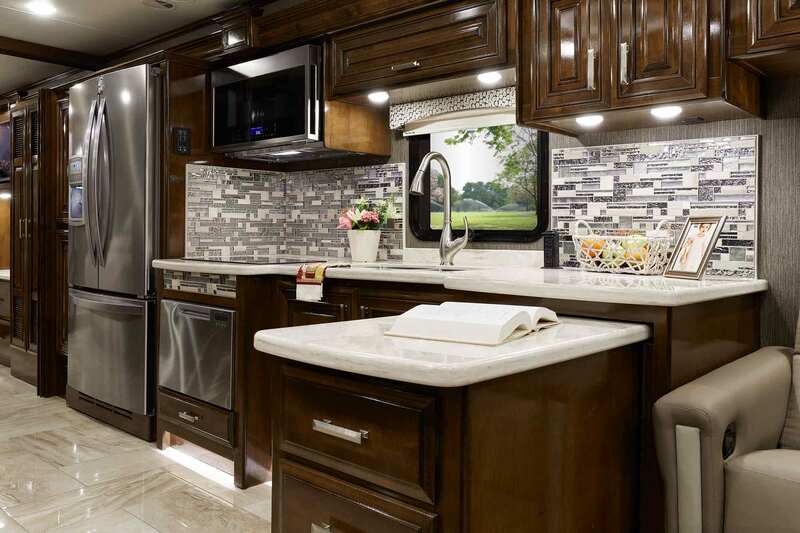 Because you’ve always dreamed about enjoying the splendors of life in new places on your time. 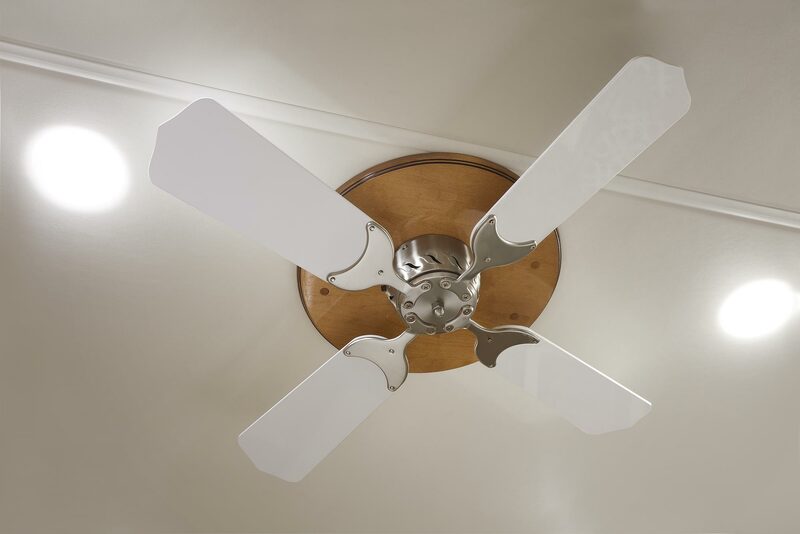 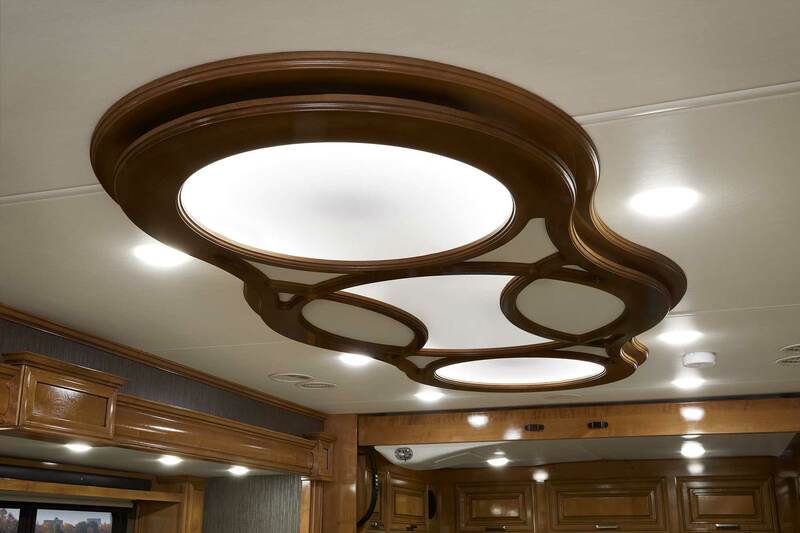 Living made better than you thought possible as you’ll discover detailed touches throughout such as the decorative ceiling treatment with mood lighting. 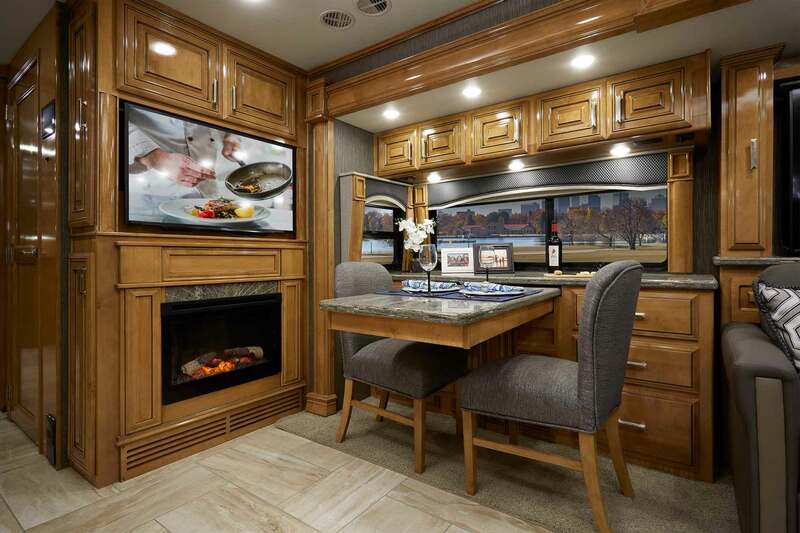 The Tuscany's cockpit inspires confidence. 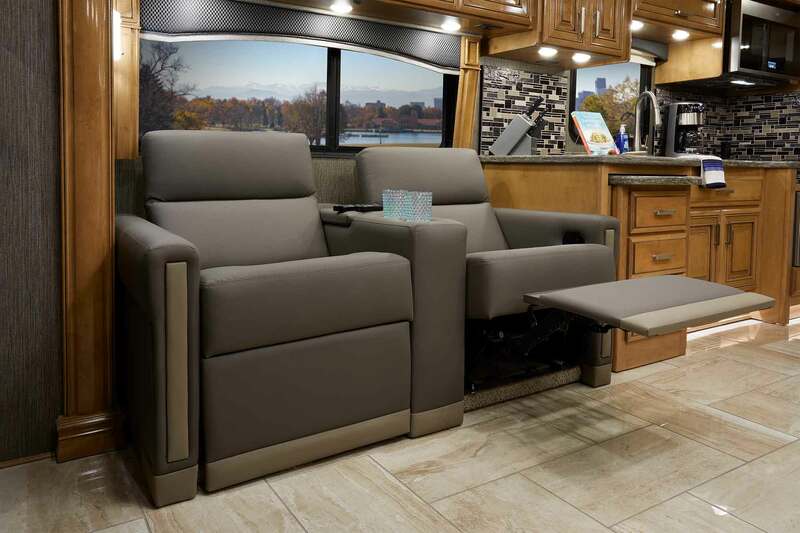 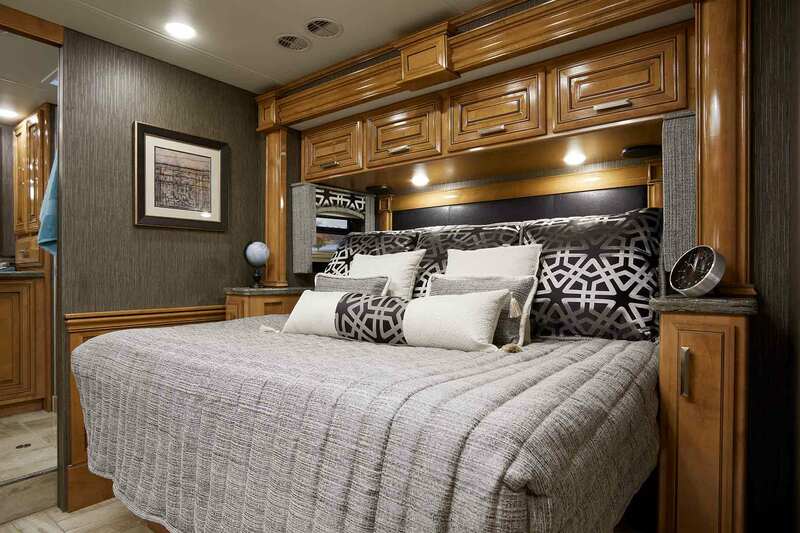 Settle into the captain's chair, and view how every control is intuitively placed and easy to use in this luxury motorhome. 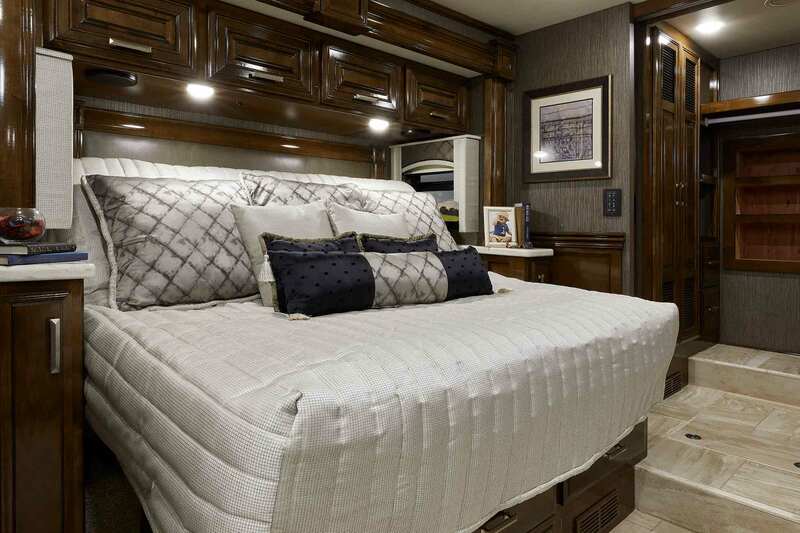 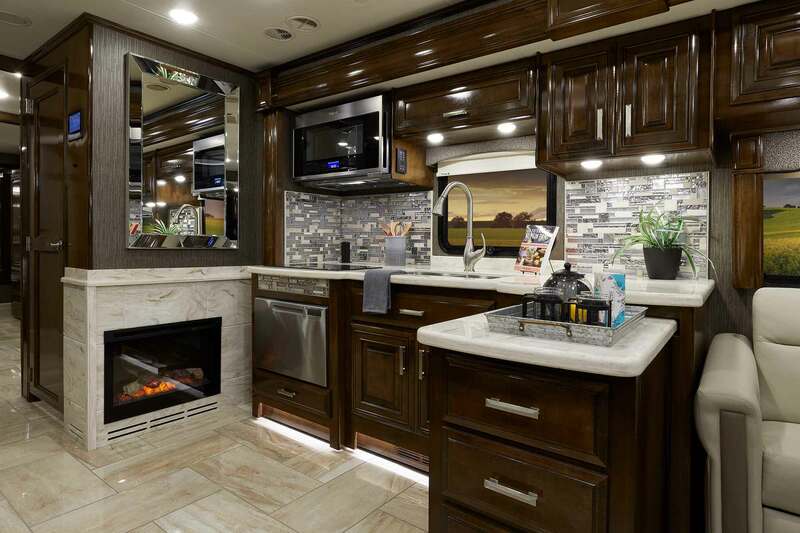 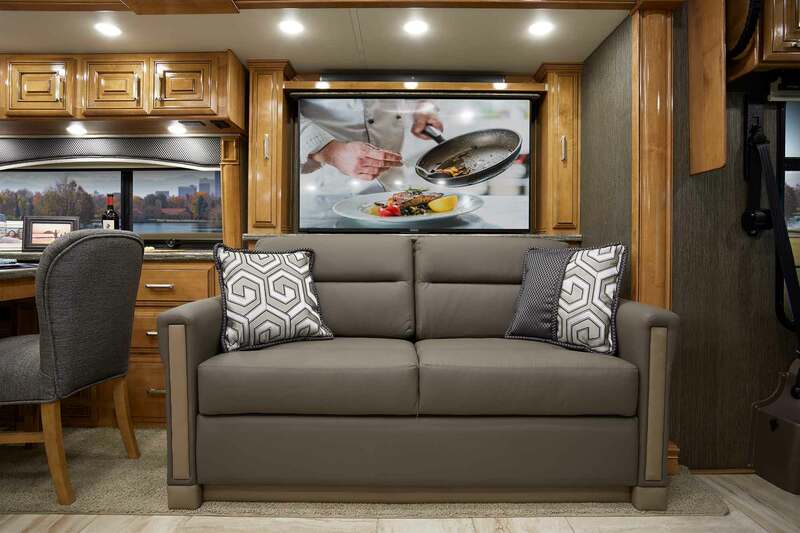 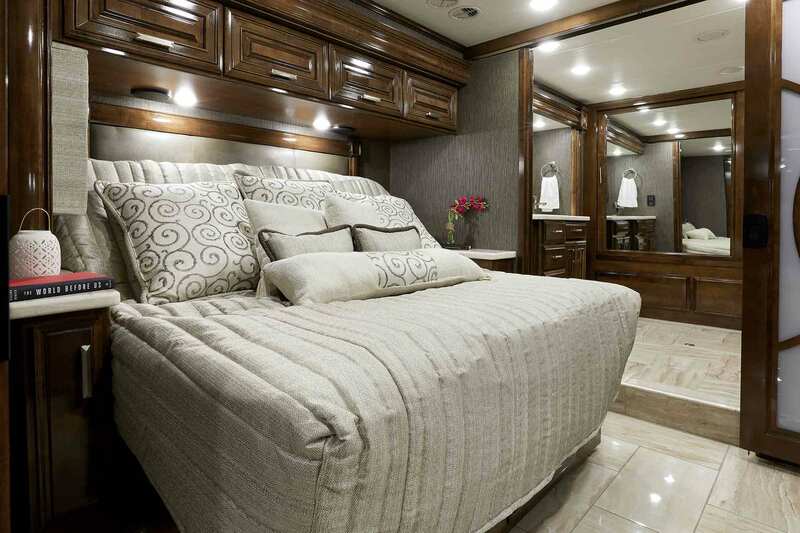 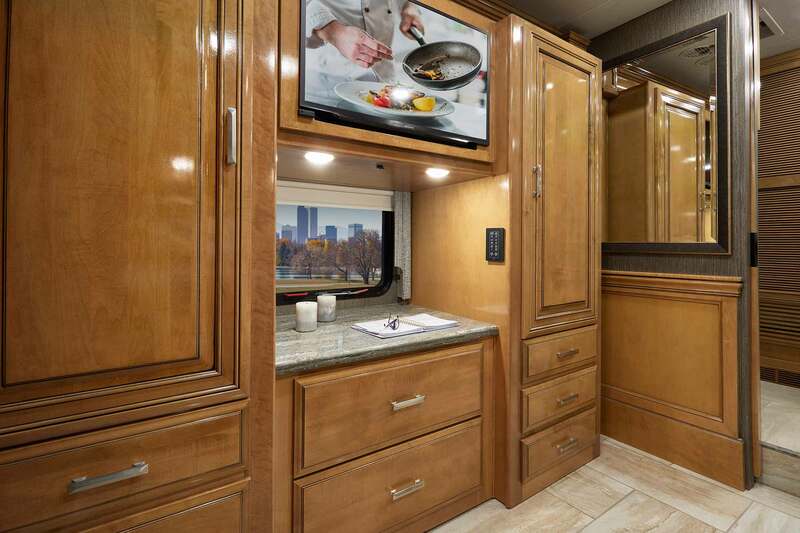 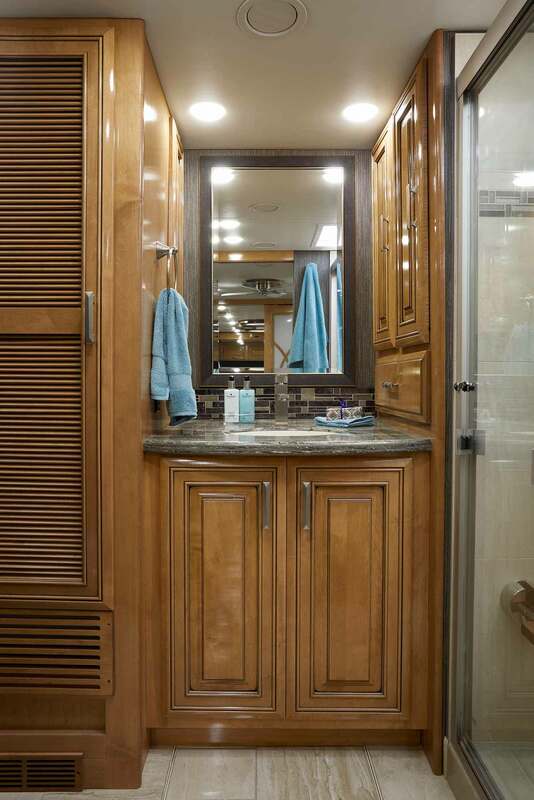 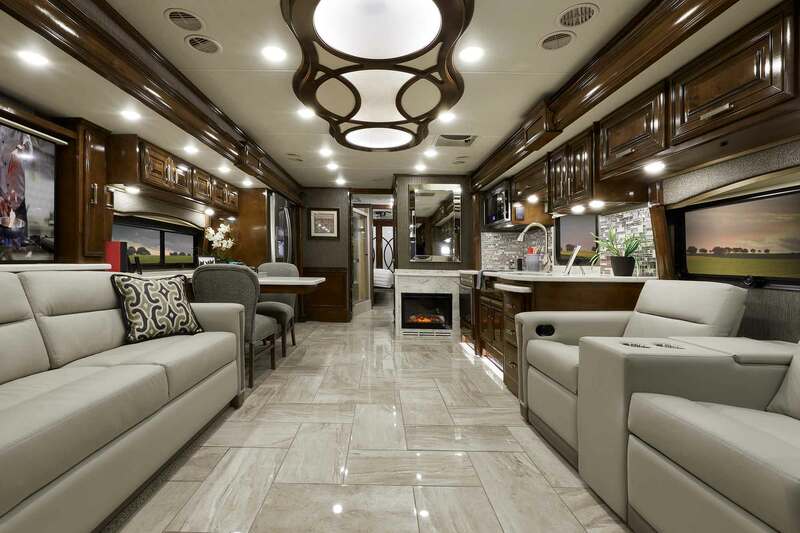 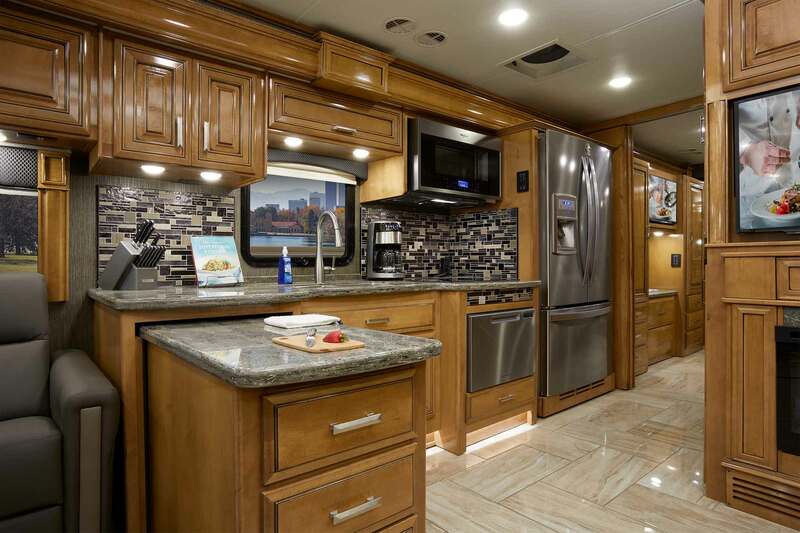 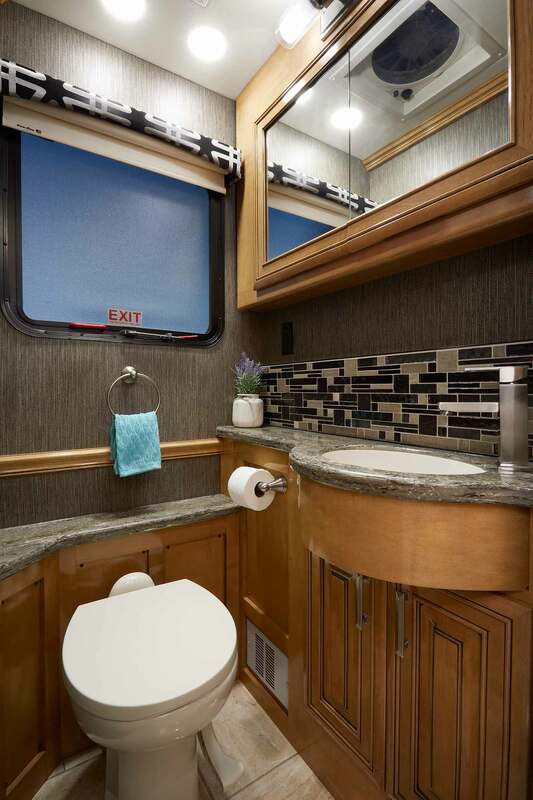 These luxury motorhomes offer the ultimate in beauty, style, and power, with the most livable floor plans and high-end amenities. 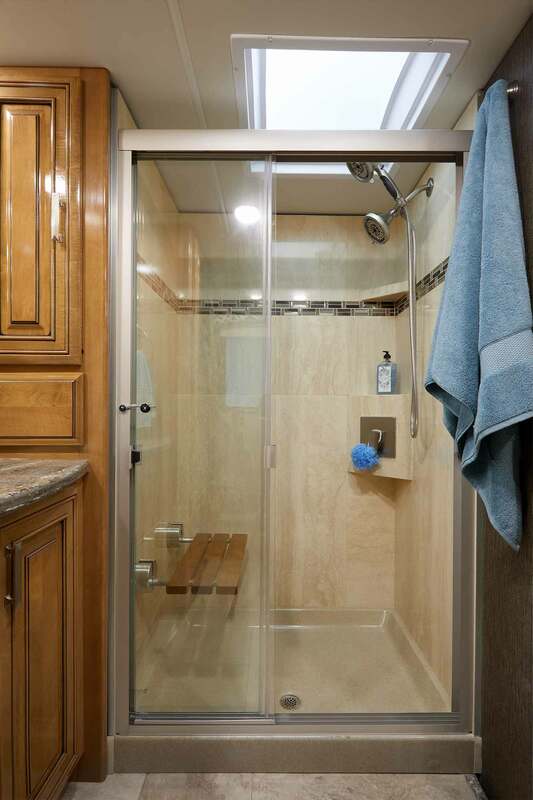 The refreshing wide-open floor plans are complemented by custom furniture, polished porcelain tile, and high-gloss glazed hardwood cabinetry.